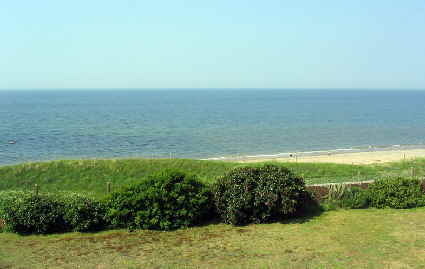 170° panoramic sea view. 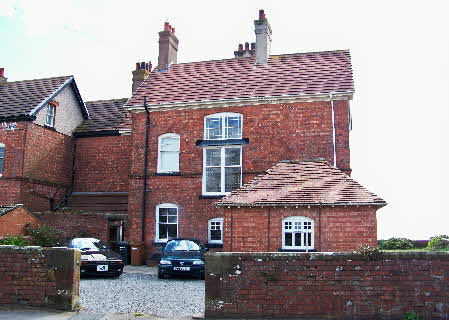 Restored spacious semi-detached house (c.1879). Beautiful Cumbrian Coast location. Three floors (and a cellar). 4 double bedrooms. 2 double-bedroom-size offices (which can become bedrooms again). Full bathroom/shower rooms (were once bedrooms) on 1st and 2nd floors. 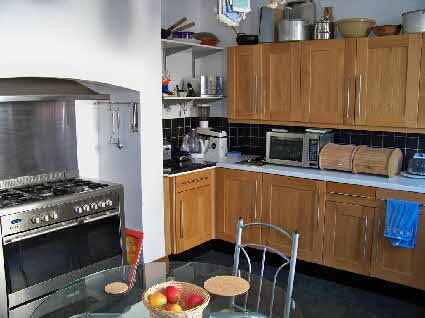 Ground floor with large Kitchen, Lounge, Dining Room, Conservatory, Utility Room and Cloakroom. Outside: Workshop and storage (was ~1920s garage - would suit small car. Space available for a further garage. 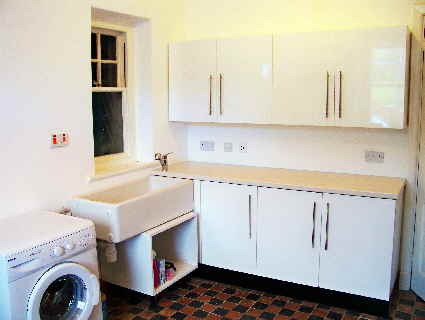 ), Wash-house (for washing machine, dryer and freezer) and outside loo! We purchased the house in 2002. It had barely any work done on it since the 1960s. It took several years and a small fortune to perform a full exterior and interior renovation. This included total replastering of the top floor, and much, much work on the other floors. Everything possible has been done to retain its Victorian character features, including the original timber sliding sash windows. 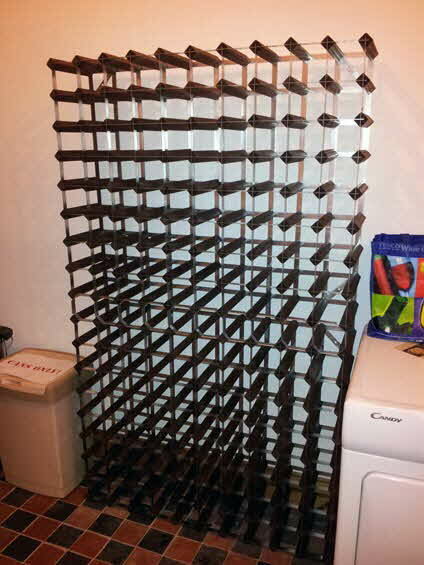 These have been Ventrolla draught-proofed (for £10,000+). They are still single-glazed, which goes against current thinking, but the heat loss through the sash window surface area is pretty trivial. We couldn’t bring ourselves to put uPVC plastic in. Chimney balloons on the other hand save massive heat losses. 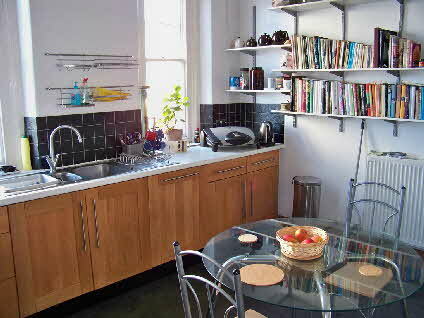 The entire dwelling had totally new electrics, plumbing and gas central heating in 2003. All living, working and sleeping rooms are wired with coaxial cables for TV and radio distribution. Every room also has at least 2 CAT6 gigabit ethernet cables feeding back to a patch panel in a small room on the 1st floor. There are 43 cables installed in total. Two offices (bedrooms really) and 1 top floor bedroom have at least 8 CAT6 sockets each. The cabling also distributes phone services. The house is barely half a mile from the green box, with fast fibre FTTC broadband. 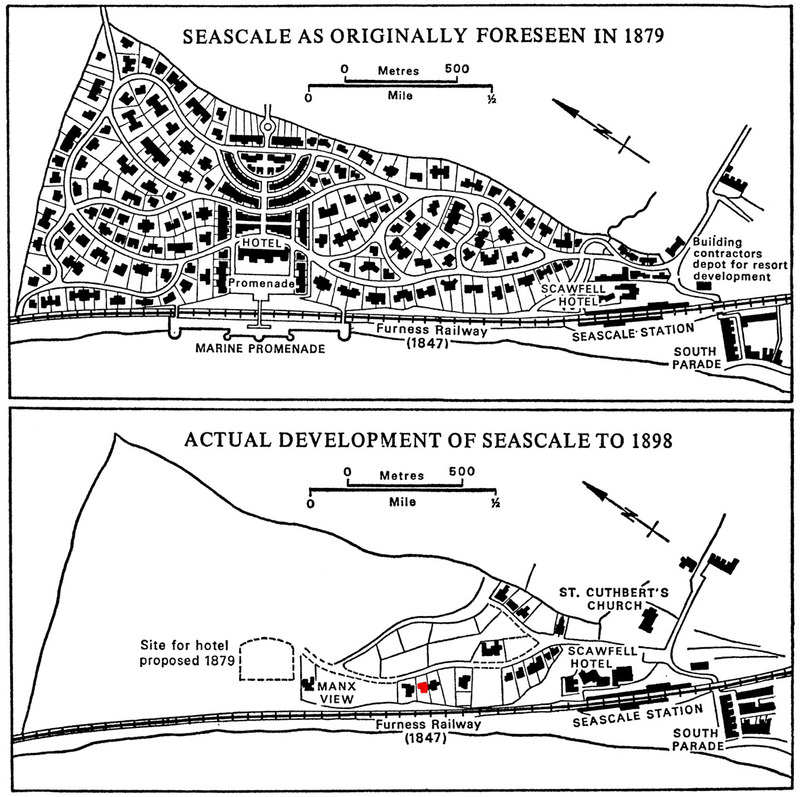 2 Sella Bank is one of a pair of the first houses to be built in this small Victorian seafront area of Seascale. It was all created by the Furness Railway (see original plans below) – and we have copies of the original deeds which we have lodged in Whitehaven's Public Record Office. 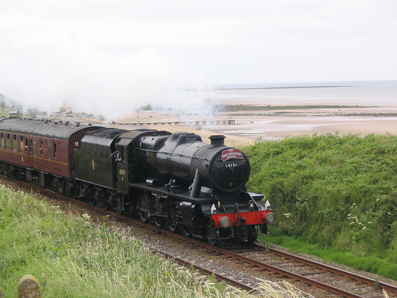 Between the house and the sea is a railway – the Cumbrian coastal line – which provides a station within 5 minutes’ walk. Nuisance value is minimal; no traffic during the evening or night, and nothing on Sundays. But you do get steam excursions passing through. Very nostalgic! Four dwellings away is Calder House Hotel with an excellent real ale bar and and many more such establishments in the area. We are close to the western lakes, with Eskdale, Ravenglass, Wastwater and Wasdale minutes away by car. Shopping? 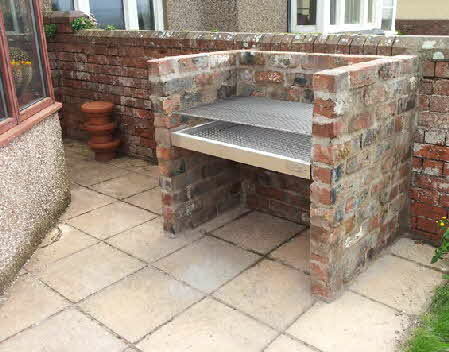 Locally in Seascale (with a Co-op) and Gosforth, and the nearest town is Whitehaven. There are quite frequent trains to Carlisle, Barrow-in-Furness, Lancaster and Preston, inclduing at last a Sunday service. Rear Hall with windows, original tiled floor. Stone steps down, lighting and power, coal store, store with original stone sconces and window, store with shelving. 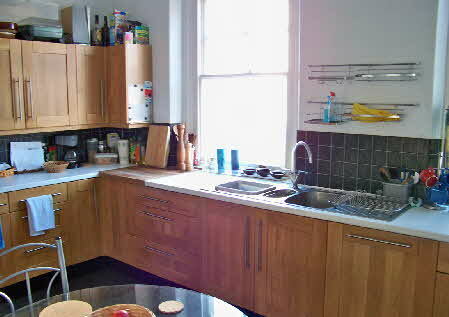 Two sliding sash windows, central heating radiator, range of contemporary base and wall units with solid oak doors, complementary work surface with inset double stainless steel sink, ceramic tiled splashback, Baumatic gas range double cooker, built in Baumatic deep fryer, shelving. Main hallway with original Victorian tiles. windows to side elevation, cloak hanging area. 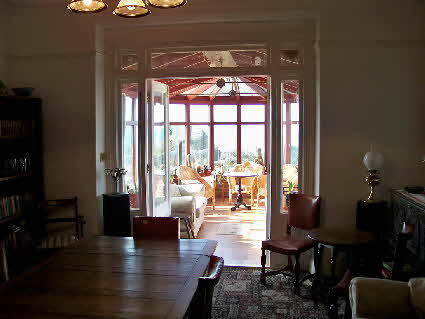 Square bay window to the patio and lawn, two central heating radiators, feature fireplace with marble and tile surround. 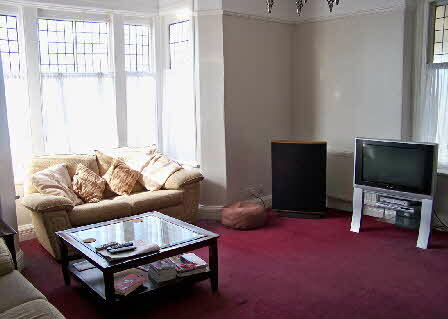 Feature fireplace with marble and tile surround, central heating radiator, tv and BT point, small-paned glass double doors with side windows. Wooden double glazed conservatory, genuine parquet floor, central heating radiator, BT point, double doors opening to garden. Stairs with wooden ballustrade to half landing with feature leaded glass window and further stairs to landing with central heating radiator and doors. Windows to side elevation, central heating radiator. Potential en-suite, central heating radiator, window and shelving, further door to landing. Bay window to rear elevation and further window to side elevation, tiled fireplace, central heating radiator. Window to rear elevation, central heating radiator, tiled fireplace with wooden mantle. Window to side elevation, central heating radiator, WC, wash hand basin, bath, shower cubicle with Mira shower, fireplace with wooden surround, built in cupboard housing. Worcester gas central heating boiler and shelving, electric shaver socket, wall mounted extractor fan, ceramic tiled splash back. Two windows to side elevation, central heating radiator, painted beams, shelving. 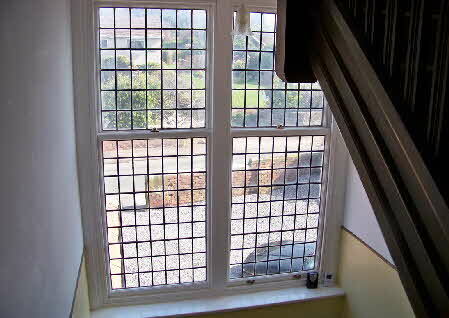 Window to rear elevation, central heating radiator, painted beams. Window to side elevation, WC, wash hand basin, bath with Mira shower over, central heating radiator, electric shaver socket, cast iron fireplace, built in airing cupboard housing Baxi gas fired central heating boiler and shelving, wall mounted extractor fan. 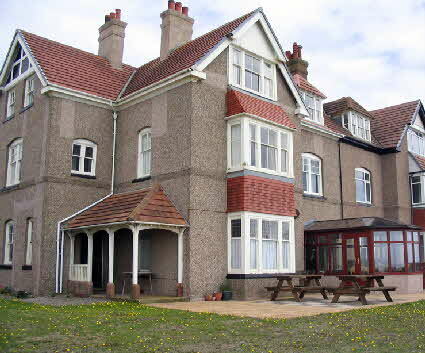 The rear garden is mainly laid to lawn with stunning elevated views over the Irish Sea to The Isle of Man, and bordered by brick wall with mature shrub border. A paved patio area incorporating chess board pattern leads to the side of the property and covered porch leading to the original main entrance door and continues to the front gravel parking area. Attached garage with double wooden doors, window, concrete floor. Lighting and power, Belfast sink, plumbing for washing machine. Services: Mains gas, electricity and drainage connected. There are two gas central heating boilers which can be zoned to provide heating for part or whole house.